Since the early pioneers first drove from Peking to Paris in 1907, the Endurance Rally Association has organised the rally along the lines of the original pioneering event. 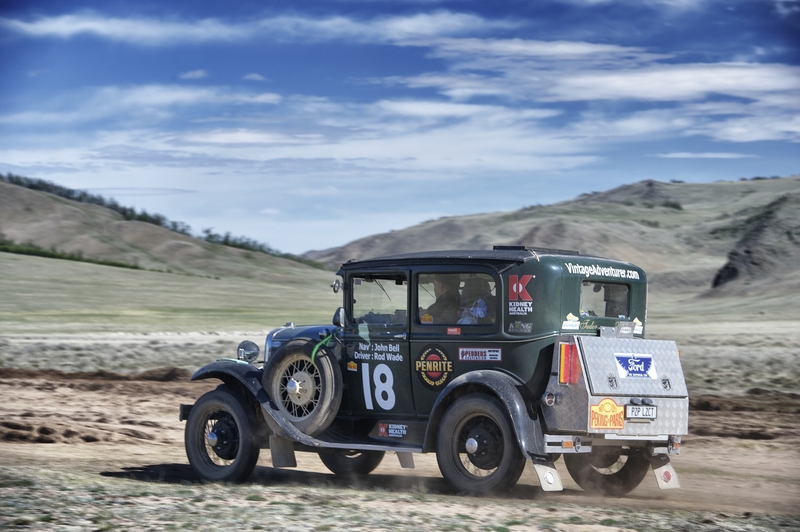 Crews drive the original route of Prince Borghese, the 1907 winner, over the vast wilderness of northern Mongolia, where there are often no roads or tracks at all, relying on their own wits and navigation ability, camping besides rivers and lakes for 10 nights. It’s the longest and toughest rally a classic car can compete in, crossing mountains and deserts and fording wide and fast-flowing rivers. The Vintage Adventurer was one of 100 entrants, with teams from all walks of life and from all over the world participating. Some are in it to win it while others, such as Rod and John were there for the challenge and to raise money for a worthwhile charity. The 2013 Peking to Paris route travelled from China, through Mongolia, then into Russia and westwards to the Ukraine, Slovakia and Europe on route to the triumphal finish in Paris. There were be free days in Ulaan Baatar, Novosibirsk, Samara and Kiev. From China the route passed through Mongolia, the world’s most sparsely populated independent country, with the Gobi Desert once again being a rally highlight. From Mongolia the route travelled through Russia, avoiding main roads and major towns and cities, and the longest stage saw competitors travelling 668Km (415 miles) in one day, as we journey from Novosibirsk to Omsk. The Start – Peking to Paris, We’re off!